Vast herds of elk once grazed throughout North America, but were eradicated in the East more than a century ago. Can they be reintroduced? Deep in the wilderness of North Carolina, Cataloochee Valley echoes with deep, melodic bugling, at once formidable and alluring. It comes from the chest and throat of a huge, solitary bull elk — also known by their Shawnee name, wapiti. For nearly two centuries, the valley and much of the surrounding Appalachians were silent, devoid of the signature notes of the bull elk’s cry. Today, the cry echoes again, but the elk grazing in the open fields, knocking antlers in play and surveying their harems are not the same ones that once migrated through these hills. 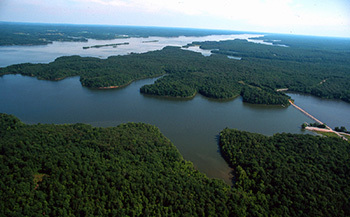 Aerial view of Energy Lake in Land Between the Lakes National Recreation Area. Credit: Land Between the Lakes, U.S. Forest Service. These are transplanted Manitoban elk (Cervus elaphus manitobensis), whose natural range includes Manitoba and eastern Saskatchewan. The bulls can weigh up to 700 pounds and cows up to 500. However, their predecessors, the eastern elk (Cervus elaphus canadensis), were much larger. Bulls stood five feet at the shoulder, weighed up to 1,000 pounds and sported massive antlers up to six feet long. More importantly, they weren’t isolated to pockets of forest as their modern counterparts are. Rather, they occupied most of North America east of the Mississippi River, from deep in Louisiana to as far north as Manitoba. And they weren’t the only ones. Eastern elk were one of six subspecies of elk, including Manitoban elk, that once roamed North America. So dense were elk populations that Lewis and Clark used their hides to bind their journals, then wrote in those very same journals about encountering the endless herds from the Mississippi River to the Rocky Mountains. Eastern elk, known for their adaptability and somewhat fearless nature, were more frequently sighted by settlers and explorers than bison and white-tailed deer. It is this bravery that brought eastern elk populations to extinction. When settlers expanded and the colonies grew, deer and bison kept to the outskirts of the settlements, while the bold, blithe elk continued to graze and roam where they always had. 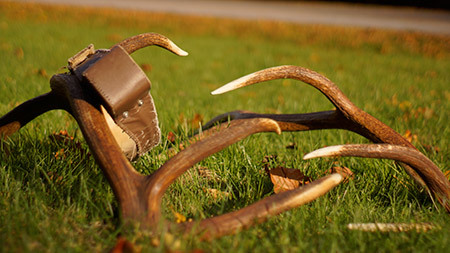 With its massive size and favorable venison — reportedly better tasting than all other wild game meats — this ease of hunting made eastern elk the sport of choice. While North America’s eastern elk population peaked in the 1600s, it would take less than two centuries to hunt them to extinction. They disappeared first from South Carolina in 1737, and over the next 130 years were essentially wiped out. John James Audubon reported in 1810 that elk in Kentucky were rare, and 40 years later, they were officially gone. By 1870, the last eastern elk were killed in Pennsylvania. Even more unnerving, though, is that the relentless hunting of elk continued out west following their eastern extinction. 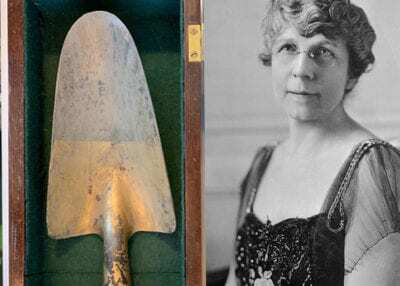 In 1920, Munsey’s Magazine published a report in which the practice of elk tusk excision was revealed to be a major threat to elk populations in the Rockies. Elk possess two historic ivory molars — remnants of ancient protruding tusks. 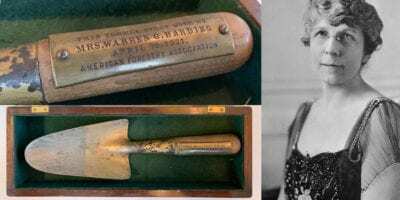 Still used to grind up grasses and nuts, elk not shot or bludgeoned to death were left without their ivories and, therefore, incapable of chewing. But the poachers’ reign would not last. The emerging conscience of the 20th century was one of preservation and conservation. The eradication of eastern elk was seen as having been a major abuse of hunting privileges; its subsequent prevention and reversal were attempted throughout the 1900s without much success. The first successful elk transplant attempt was in 1913, when the Pennsylvania Game Commission, sympathetic to the plight of overpopulated Rocky Mountain elk (Cervus elaphus nelsoni), purchased some from Yellowstone National Park to reintroduce to the Allegheny Mountains. 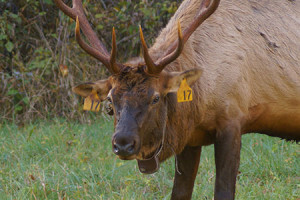 Nearly a century later, in 1997, another transplant attempt was successful when Kentucky brought elk into their borders — many of them to Land Between the Lakes National Recreation Area. Some of these reintroduced elk were the same Manitoban elk that would eventually end up in Cataloochee Valley in Great Smoky Mountains National Park. 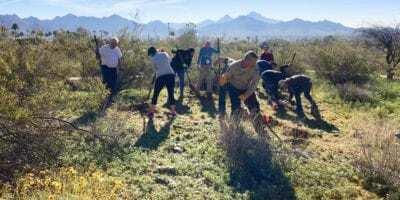 The National Park Service considers preserving native wildlife one of their primary missions and sometimes reintroducing native species that have become regionally extinct is one component of that mission. 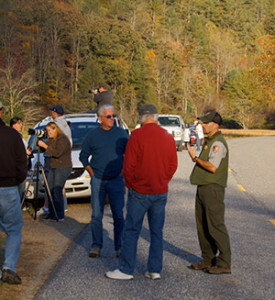 The U.S. Forest Service, which oversees Land Between the Lakes, has similar goals of advocating a conservation ethic and promoting diversity on their lands. 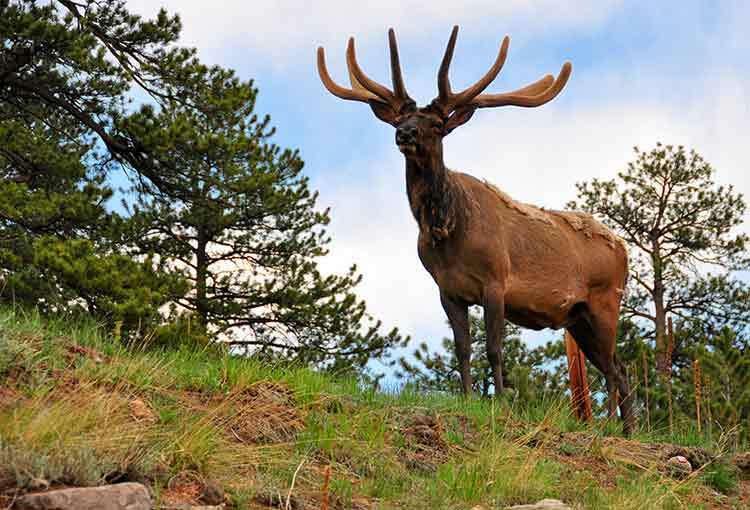 In the case of animals like elk, though, there are also economic reasons to reintroduce: Elk are large, imposing creatures that draw large, imposing crowds. Those crowds, in turn, benefit local economies by shopping at local businesses or eating at local restaurants. Additionally, by keeping visitor numbers up, parks can afford proper staffing and large maintenance projects. But for all the benefits, building up elk populations is quite complex. Since transplanted elk aren’t native, they’re highly susceptible to disease and previously unknown predators. The brain worm that eastern elk, in their great, healthy numbers, would have contracted from white-tailed deer would not have been a major threat to the species’ overall population and, in fact, would have helped with natural population control. Small numbers of transplanted elk, however, can be totally wiped out by brain worms, which cause loss of motor control and death. Likewise, an elk that has never seen a black bear has no perception of danger to her calf. The elk need such a state of nature and, nestled in the hills between North Carolina and Tennessee, isolated Cataloochee Valley fits that bill. 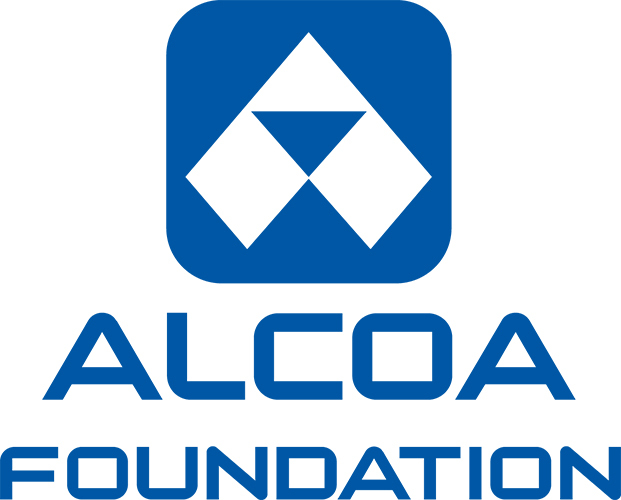 With one long and unpaved road by which to access the valley, Cataloochee is both a natural and historic preserve. Churches, cabins and barns from centuries past still stand and are in use by the park service. Within the walls of the surrounding mountains, located on flat, sunlit plains, harems of cow and calf graze and wander, accompanied always by a handful of bulls. Land Between the Lakes worked with Great Smoky Mountains National Park to send some of their abundant elk population into the secluded valley, and others were transplanted from Canada. The elk roam slowly from field to field, laying in the sun, sparring, bugling and grazing. Their numbers have grown slowly since they came to the park. In 2001, 25 elk were released into the park, in 2002, another 27. Because such small numbers are susceptible to disease, their movement was monitored daily with radio and GPS collars. 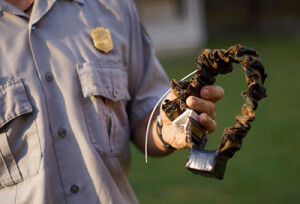 Park rangers constantly monitor collared animals and respond to prolonged lack of movement, which indicates illness or death. A death results in a field necropsy to determine any potential risks for the rest of the herd. Initially, all the elk released into the park were collared, but as they age, collars die or break and fall off, and adults spread out and give birth far away from the ranger station. Still, when rangers see a calf without a collar, they take action immediately, sedating the calf and fitting it with a small adjustable collar. 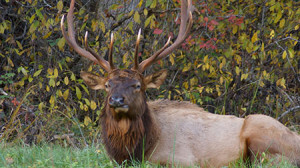 As of October 2011, it’s estimated that there are between 140 and 150 elk roaming in or around Cataloochee Valley. They lounge by the gravel road, slowly chewing on grass or lazily knocking antlers. Other than the bulky radio collar adorning most necks, the elk look as they might have looked to settlers, surrounded by century-old barns and churches. They’re serene to watch, happy in their protected existence. But it’s the allure of this bucolic scene that can threaten its peace. On any given day, tourists hoping to get a closer look come within 20 feet of bulls and their harems. While signs are posted from one end of the park to the other and volunteers patrol to make sure onlookers keep their distance, it’s the primary duty of park rangers to keep the elk wary. Yarkovich’s radio has chirped during most of the interview, turned down to a distant, occasional hiss. He can still hear what’s going on in the park, and as the interview ends, he catches something worthwhile and heads to the main road. He rushes into a field where the elk have gotten too close to the visitors for his liking. Down the road, he flashes a bright orange pistol and asks another ranger for something to bait a lone bull. The other ranger offers a half-eaten apple. Telling a tourist to back off is only effective to that particular tourist, since visitors cycle in and out so regularly. Therefore, Yarkovich prefers to show the elk that humans are to be avoided. 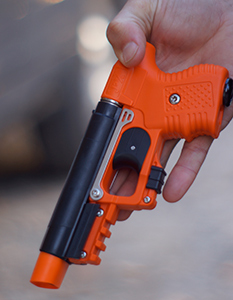 The orange pistol shoots pepper foam, which burns as badly as pepper spray, but will stick to whatever it hits. Yarkovich’s target is a problem bull — one that routinely approaches guests seeking handouts. Undoubtedly, the bull has been fed by guests in the past, but still eyes the rangers with suspicion as they venture toward him in the field, not 10 feet from the road. He seems to recognize Yarkovich as a sort of killjoy. The bull wants the apple and, unaffected by the camera’s shutter, allows an approach — close enough to hear the deep, equine-like breathing. The standoff lasts less than a minute before the bull turns and wanders away. It’s a missed opportunity, and Yarkovich is disappointed. Without the negative reinforcement of the pepper foam, the bull learns no healthy fear of humans and is more likely to approach guests again. 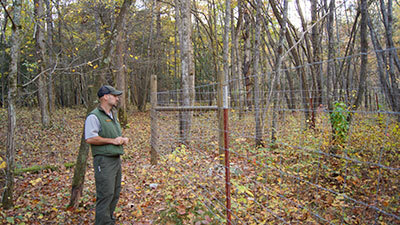 One way Yarkovich and the team are monitoring these impacts are exclosures in the woods. The exclosures are 39-square-foot plots closed off by high-tensile wire. There are 15 exclosures hidden in the park, a part of the elk program mostly unknown by the general public. They’re designed so that bears, deer and smaller animals can get in and out without hindrance, but an elk is simply too big to enter. The exclosures allow rangers to collect data that looks at plant growth and diversity both where elk forage and where they cannot. When foraging is high, or unsustainable, there is little diversity, and plant growth is typically stunted. 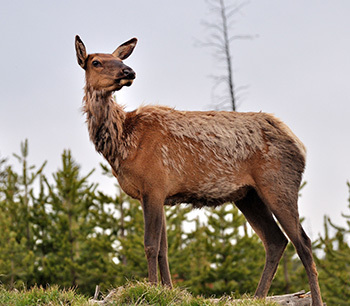 Poor foraging translates to poor nutrition for elk and other herbivores, large and small. At the moment, the number of elk in Cataloochee Valley seems to be in a very good place — the elks’ grazing is active enough to stimulate constant plant regeneration. They keep fields relatively clear and easy to navigate for smaller animals, such as rabbit or turkey, and also make it easier for birds of prey to hunt through shorter grasses. However, Yarkovich estimates it could take 10 to 15 years to gather enough data to truly determine how the elk impact this particular environment. Turning the observation around, the environment’s effects on the introduced elk are more immediately noticeable. Says Yarkovich, “What we’ve seen over the years is they’re using forested resources more. The first couple of years, they weren’t eating acorns; now, they’ve figured out that here in the East, acorns are a great food source.” And their body masses prove it, perhaps shedding light on the disparities in size between eastern elk and their western cousins. Antler size, body mass and birth weight all increased as the reintroduced elk discovered better foraging on the forest floor, compared with a diet of mostly plains grasses out west. Joseph Love is a freelance writer from Tennessee, a state whose beauty is carved in limestone and framed by waterfalls.